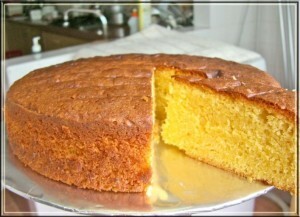 Butter Cake recipe by Sheema Khan at DesiRecipes.com. Seive the flour and baking powder twice. (keep it on the side then). Beat the butter until it becomes white, then add some sugar and one egg and mix it nicely. (Do this simultaneously). Then add vanilla and milk and mix it well. Now add flour and mix it really well. Bake at 350 degrees F (175 degrees C) for 50 to 55 minutes or until cake springs back when lightly touched. Remove from pan and allow it to cool.